AlphaNinja: Save your soul for 60 times the market price! AlphaNinja - Environmental fraud, by guilting people into throwing money away. Hat tip to the Watts up with that blog for highlighting this ridiculous nonsense. Many of the outfits selling these "credits" have no way to verify what if any environmental good they're doing with the $$$. I've always thought purchasing carbon "offsets" is the same thing as purchasing indulgences from the church back in the day. Same thing - paying to sin. 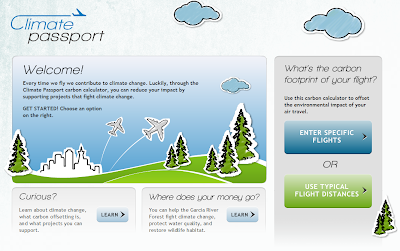 According to the San Francisco Chronicle, the SFO airport has now installed carbon offset purchase kiosks so that you can remove the guilt from your flight. Only one problem. The carbon offsets sold by kiosk sell at a rate that is about 60 times what carbon credits are actually selling for on the market now. There’s no frequent flyer polluter discount either.